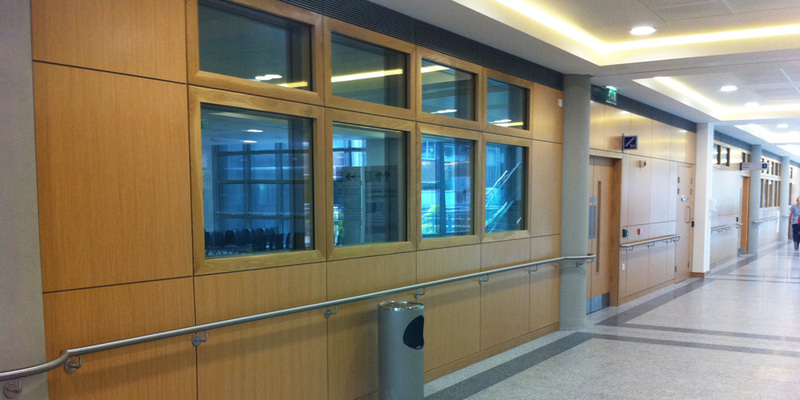 Working with John Sisk & Sons with Scott Tallon Walker architects, Truwood were appointed to carry out the specialist joinery works for the refurbishment of The Mater Hospital located on Eccles Street in Dublin. 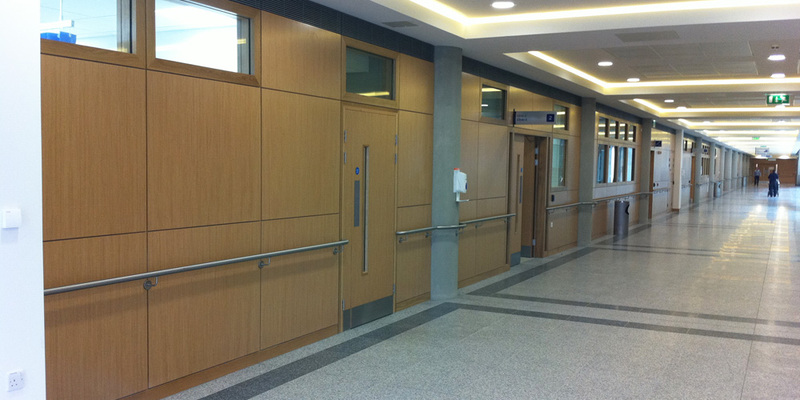 Including three storey high wall panelling within the main atrium in the hospital, Truwood also installed wall panelling in all corridors, lobby, reception areas and meeting rooms. 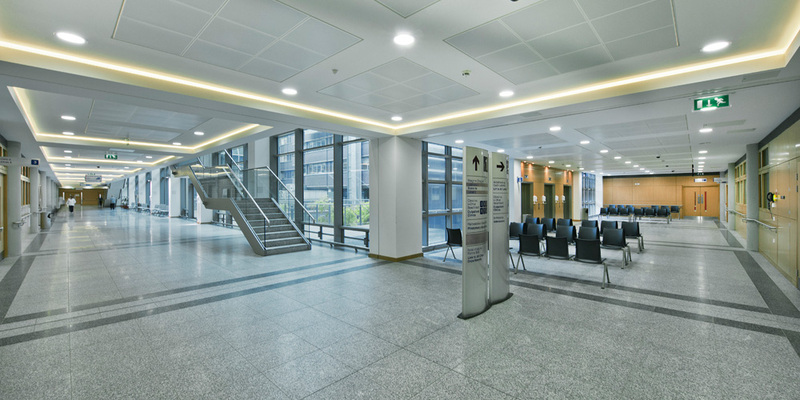 Working in a sensitive healthcare environment, this project required a lot of care and attention. 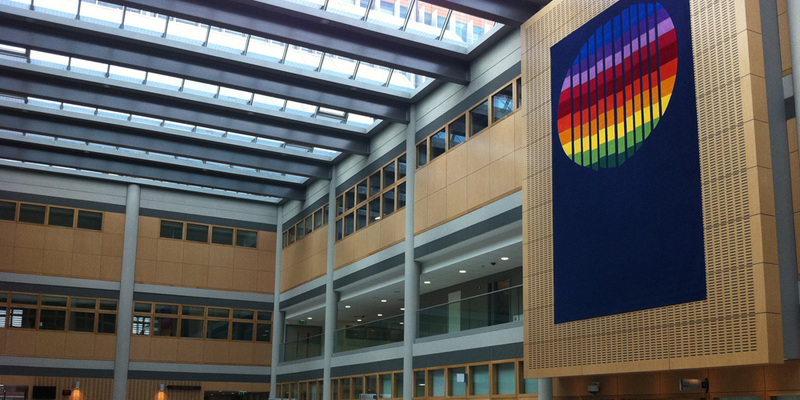 Particularly with the installation of the acoustic panelling in the main atrium where a three storey scaffolding was erected in order to carry out the required works. 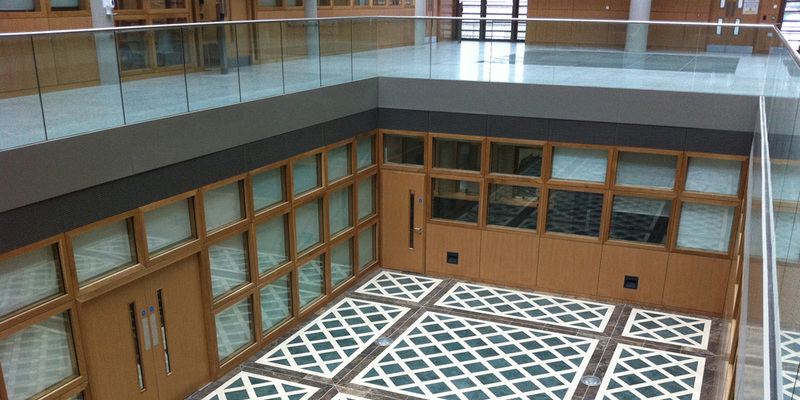 Truwood also assisted Scott Tallon Walker in the design of the totally bespoke acoustic panelling which had to be elevated out from the wall within the atrium. Completed within a six month time-frame, the project ran smoothly and was delivered within the projected programme delivery time. Truwood, Drumcondra, Emyvale, Co. Monaghan, Ireland.